It should have been obvious from an early age, though I cannot remember anyone referring to his disposition in life in such terms. As a boy and young man I fled the apparent tierney of the house, classroom and confining work place to the ‘woods’. A sense of freedom, exploration and discovery was encountered in the brooks, ponds, fields, and Long Island Sound. The thrill of dropping a worm entangled hook into a sunfish’s nest and watching the diligent parent take it into its mouth, led to a dry fly, softly placed above a rising brown trout. Exploring shark fishing in the Dominican Republic to scavenging the mountains of the Columbia Gorge for truffles and mushrooms has been an undirected force in my life. I am a forager. A passionate forager that believes NO grape is too good for the home winemaker. 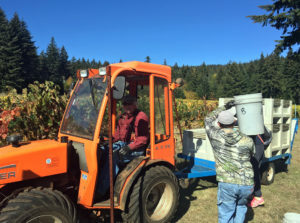 I am a forager proud to have helped form the Columbia Gorge AVA. I am a forager who was lucky to begin winemaking, and vineyard exploration in Napa and Sonoma in 1970. The vines in Europe, Chile, most of North America, and some of Australia and New Zealand have been subject to my explorations. 2013 was Monica’s first vintage. 100 lb. of Columbia Valley Cabernet sourced through her local brew shop in Portland, Oregon. The moment she saw the grapes she knew she was hooked. In 2015, Monica relocated to the Columbia Gorge and purchased fresh Syrah grapes from Brehm Vineyards. Three weeks later, Peter Brehm offered her a job. Monica’s background is in project management, sustainability, and event planning. 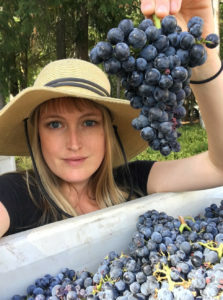 She does a little bit of everything at Brehm Vineyards, from managing operations, sales, bookkeeping and still finds time to get her hands dirty in the vineyard and cellar. She loves exploring new vineyards, traveling, flying and making wine. Steve fell in love with wine while taking a half-credit wine appreciation class in college. After graduating Steve headed straight to the Napa Valley where he spent 12 years as the vineyard manager for Freemark Abbey and then moved over to the Sonoma County side where he managed all of Knights Valley vineyards for Beringer for another 19 years. Although Steve spent his career as a farmer, he made wine at home during his grape growing tenure. 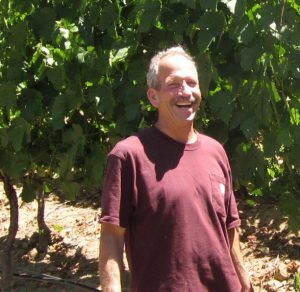 Years later he turned his hobby into a profession, opening Campana Ranch Winery in Sonoma. Steve manages harvest operations for Brehm Vineyards in California, affording Peter more time to focus on Oregon and Washington. We feel fortunate to be able to draw on Steve’s decades of viticulture experience and perspective as both a home and professional winemaker.